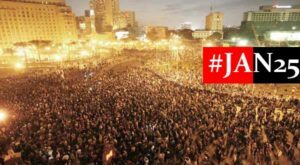 While few appear to be in doubt about the outcome of the imminent Egyptian presidential election, there were some inside and outside of the country that thought that if nothing else, the integrity of its technical procedures might be assessed properly by the presence of international observers. In the last week, however, that has changed somewhat – and then changed again. The European Union had previously deployed its own limited expert mission to observe the constitutional referendum earlier this year – but a full electoral observation mission (EOM) is different. An EOM purports to assess the integrity of the process, what leads up to the process implementation, and is supposed to release its finding openly and transparently. 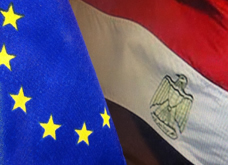 Egypt officially requested the mission months ago, and the EU made the political decision to respond positively. None of that changed – Egypt’s Foreign Ministry remained, throughout the last few months, keen to have the EOM, and the EU’s political decision was maintained. 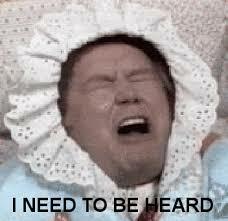 However, over last weekend, it became clear the EOM was in jeopardy, with officials in Brussels revealed that vital equipment needed for the operations of the mission were being held up in customs, and that as a result, the EOM would be reconstituted to form an ‘elections assessment team’ (EAT). That is a far less expansive and comprehensive mission as compared to the EOM – and as such, requires less in the way of time, equipment and personnel. The question many asked was – who was responsible for this change? On the European side, it was clear the top brass wanted this mission to proceed. As alluded to, a memorandum of understanding was signed in February, and the EU has gone above and beyond in ensuring the EOM was carried out, even while there are those in Brussels who expressed concerns and were overruled. According to the EU’s own handbook on electoral observation methodology, this current EOM is not following the ideal course of action in terms of preparation – but the political desire to continue has kept the EOM from being altogether cancelled. Those technical and logistical difficulties did make it incredibly difficult for Brussels to maintain the commitment to a full EOM, as it was believed, at least last week, the technical criteria could not be met in time. This is in spite of the fact that the Egyptian Ministry of Foreign Affairs has been particularly keen to have the mission go forward in its full, EOM form. A full mission from the EU verifying the integrity of the process is precisely what the MFA wants at present, particularly given the immense criticism from the international community with regards to Egypt’s current political roadmap. Who, then, is responsible for the logistical difficulties that threatened the decision to depoly an EOM? The answer remains unclear, although it is clear that until the 18th of May, the electoral monitoring mission’s equipment was held up in Egyptian customs. It was then released – after Brussels relayed to the press the EOM was being reconstituted into an EAT. It also came after the chief observer of the EU elections mission met with both of the presidential candidates, as he confirmed at a press conference. It would have been rather unusual if he had not brought up this issue at both of those meetings – which may have led to further interventions. Two days after the EOM was said to have been scrapped, the chief observer declared there would be an EOM after all. The experience is more than simply a hiccup – it says something about the political commitment that the EU’s political leadership has towards the Egyptian political road map put into effect by the Egyptian armed forces on the 3rd of July last year. The decision to scale down the mission was not political sniping, but taken as an unavoidable decision, owing to the logistical difficulties to actually deploy. Indeed, the chief observer himself indicated at a press conference that the EOM would have one week to do what it would usually allocate three weeks to do – indicating yet more flexibility on the part of the EU. Cairo will no doubt take comfort in that, even though within Brussels, there will be those for whom this experience leaves a rather sour taste. More importantly, however, it also confirms, yet again, the balkanisation of the Egyptian state. It is not particularly common that an institution on the level of the ministry of foreign affairs has its decisions left unimplemented. Was this the result of intentional obstruction within the Egyptian state, by elements that never wanted the observation mission in the first place? Was it the result of doctrinaire bureaucrats, who saw that some of the equipment would require special permissions, thus adding to the logistical difficulties? Or was it simply down to the Egyptian state on a functional level, where lines of authority and political clout have become incredibly blurred? Or was it a combination of all of those factors? We may never know. But certainly, there will be those in Cairo and in Brussels who will be a lot more sober about what this fragmentation of the Egyptian state can actually result in – and the costs of that balkanisation going forward.